Some men see things the way they are and ask "Why?" Others dream new dreams and ask "Why not?" When Special Olympics athletes watched the '98 Winter Olympic Games in Nagano, Japan, much was familiar: opening ceremonies, medals, athletes from all over the world, pride in team and country. Today these are common threads in both the Olympic Games and Special Olympics. Thirty years ago, however, individuals with mental retardation did not have opportunities to be Olympic athletes or even be involved in sports competition of any kind. But the first games at Chicago's Soldier Field on July 20, 1968, changed all that. Few realize the role that Illinois and the parks and recreation field played in the inception and development of this international program, which now serves more than one million athletes in over 150 countries. In the early 1960s, Dr. William Freeberg, then chairman of the Recreation and Outdoor Education Department at Southern Illinois University at Carbondale, received a call from the Joseph P. Kennedy, Jr. Foundation. President John F. Kennedy's sister Rosemary was born with mental retardation. As a result, the Kennedy family was drawn to ways to improve the quality of life for people with developmental delays. President Kennedy once said, "They may be the victims of fate, but they will not be the victims of our neglect." 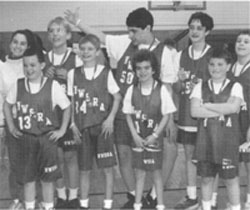 The Kennedy Foundation, spearheaded by Eunice Kennedy Shriver, asked Freeberg if he was interested in cooperating in the development of a national program in recreation and physical fitness for people with mental retardation. "Freebie," as he was affectionately known, had pioneered camping for the physically and mentally challenged at Little Grassy Camp in Southern Illinois since the early 1950s. Students in 25 different academic programs learned about people with disabilities through firsthand experience. Freeberg was a visionary who would see his efforts revolutionize the quality of life for people with disabilities during his lifetime. Freeberg agreed to work with the Kennedy Foundation. He conducted one-week workshops for recreation directors from municipalities across the country for the next several years, instilling basic principles in his students such as: everyone—including people with disabilities—benefits from recreation; everyone—including people with disabilities—will choose pleasurable, positive experience over negative ones; and everyone—including those with disabilities—has talents and gifts to share with others. The city of Chicago, through the Chicago Park District, was a municipal pioneer in offering recreational programs for people with mental retardation. Ten recreation teachers from the park district attended one of Freeberg's workshops in 1965 on a grant from the Kennedy Foundation. Among them was Anne McGlone (now Justice Anne Burke) from West Pullman Park. By 1967, the Chicago Park District, under the leadership of board president William McFetridge, wanted to step up the work that was being done for people with mental retardation. He asked the district's vice president, Dan Shannon, to take on the project. Anne Burke, who experienced great results working with children with mental retardation at West Pullman Park, became part of the team to look at the needs and potential of the program. She knew there was a greatly underserved population who could benefit from the program, and parents who needed to be shown what their children were capable of accomplishing through sports and recreation. Dr. Freeberg was asked to be a consultant to the park district on this project. proposed a citywide track meet modeled after the Olympics which was endorsed by the city and park district. Many individuals from the park district had served as leaders and sports directors in both AAU national events and also in the U.S. Olympics events, plus Soldier Field was an ideal venue. Freeberg suggested they formulate a proposal for funding to Eunice Kennedy Shriver and the Kennedy Foundation. Shriver embraced the project and asked Burke to enlarge its scope to include more athletes from around the country. It was to be a milestone event. 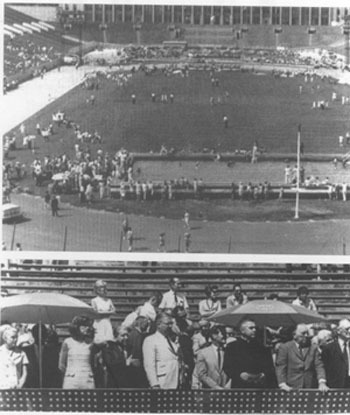 The Chicago Special Olympics on July 20, 1968, attracted 1,000 athletes from 26 states and Canada. The city of Chicago, the Chicago Park District and Kennedy Foundation, and a legion of volunteers rolled out the red carpet for the athletes who competed in track and field events and aquatics. 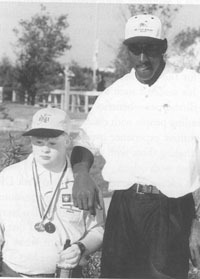 Athletes of similar ability levels competed against one another and were recognized for their accomplishments. Stan Mikita of the Chicago Blackhawks and George Armstrong of the Toronto Maple Leafs coached a floor hockey game between Special Olympics athletes from the United States and Canada. The athletes left Chicago with great memories, medals and the desire for more sports and competition. No time was wasted. Eunice Kennedy Shriver announced the creation of a national Special Olympics and, within a year, programs were started across the country. Illinois grew from two areas-Chicago and Southern Illinois— to 21 areas today. From a once-a-year track meet, the program has grown to year-round training and competition in 18 sports. There are now approximately 170 different competitions and events happening during the year in Illinois at the area, regional and state levels, including the annual Winter and Summer Games. Every two years, athletes from around the world participate in either World Winter Games or World Summer Games. Next year. Special Olympics athletes from Illinois will join other members of Team U.S.A. at the World Summer Games in North Carolina. members of schools or communities for training and/or competition as well as social involvement. The mission of Special Olympics is to provide year round athletic training and competition to all eligible athletes. Yet, athletics has never been the sole purpose of Special Olympics. Just as significant has been the goal to further the social and emotional development of millions of athletes who have participated in the program. In a study conducted byYale University, Special Olympics athletes tested higher in three domains: social competencies, adapted behavior and self-perception. The finding of Special Olympics as an avenue for enhanced social competencies is significant because it is the key to integrating persons with mental retardation in many settings in which they live, work and play. The Yale study clearly shows that the vision that was brought to reality by leaders in the parks and recreation profession, and the program that was developed, can be a significant approach to facilitating normalization and integration for individuals with mental retardation. As a movement, Special Olympics International has been rated as the most credible charity in the country by the Chronicle of Philanthropy. Special Olympics began as a seed from Anne Burke and was helped by Dr. William Freeberg and the tremendous support of the Chicago Park District. The Kennedy Foundation nurtured the seed and fostered its growth. 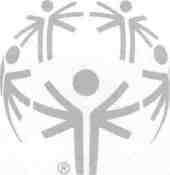 Park and recreation agencies across the state and the country began to offer Special Olympics training and competition. As the program grew, the general public began to change their thinking about people who were "retarded." Rather thanpeople to be avoided or ignored, they began to be viewed as rightful members of society. Parks and recreation in Illinois can once again take pride in reflecting on our history, but must also recommit ourselves to ensuring additional opportunities exist in each community within the state of Illinois for current and future Special Olympics athletes. Basketball Tournament in Jacksonville, Ill., in March. Special Leisure Services Foundation in Rolling Meadows. board of directors and as board chair.